The California vets show the East Coast some love. Fat Joe and Remy Ma's comeback single has been getting serious burn this summer with its original remix featuring a revived Jay Z. Now the Terror Squad pair bring another refresher with some help from the West Coast. 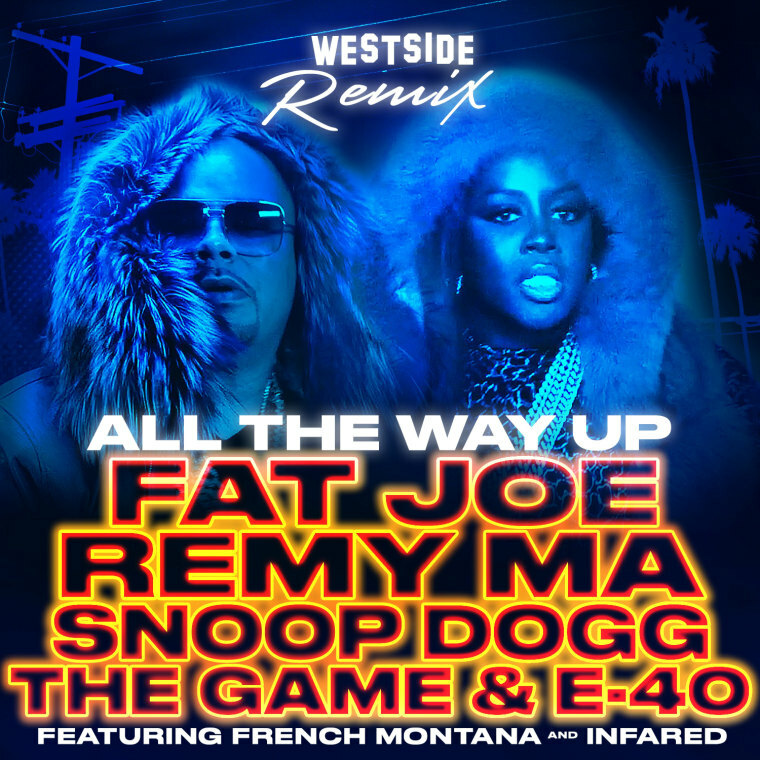 The "All The Way Up (Westside Remix)" features Snoop Dogg, The Game, and E-40 all bringing their distinct styles to the East Coast heater. Snoop slips into his Snoop Lion persona, while The Game shouts out some Golden State Warriors as he's Draymon with the Glock and turning bodies to Klay. E-40 shows up icy with "$2000 dollars" in his teeth. Listen to the remix below.